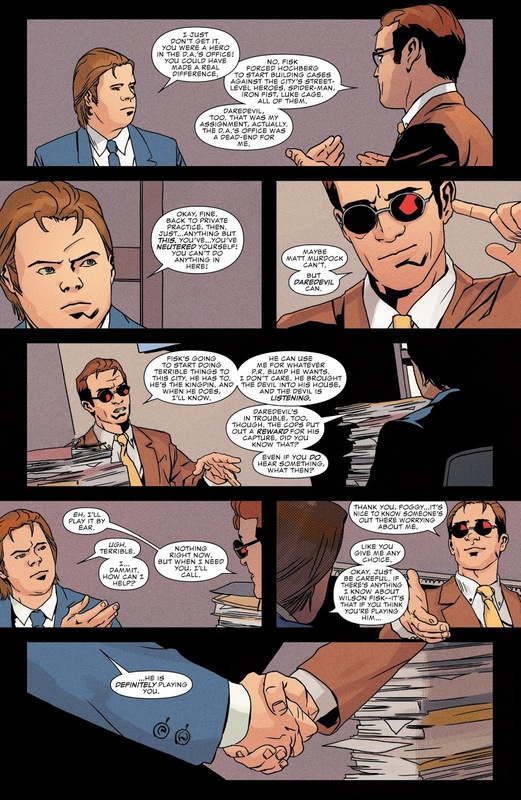 Maybe Matt should have put a Daredevil-Tracer on Fisk. Always jarring when characters suddenly become carbon copies of their mass media incarnations. 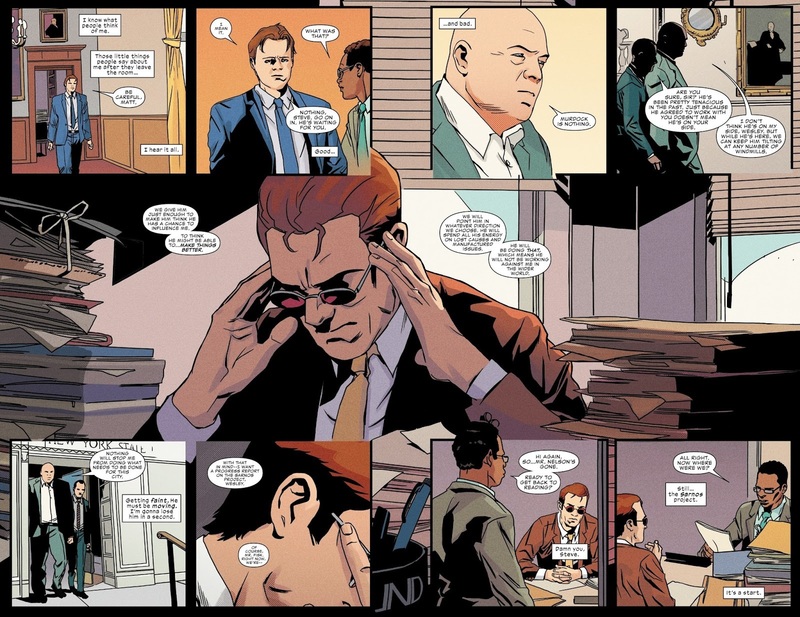 Foggy and Fisk seem the most noticeable here. Matt not quite as much. But definitely Foggy. Yeah I missed the bit where Foggy has the long hair. Eep. 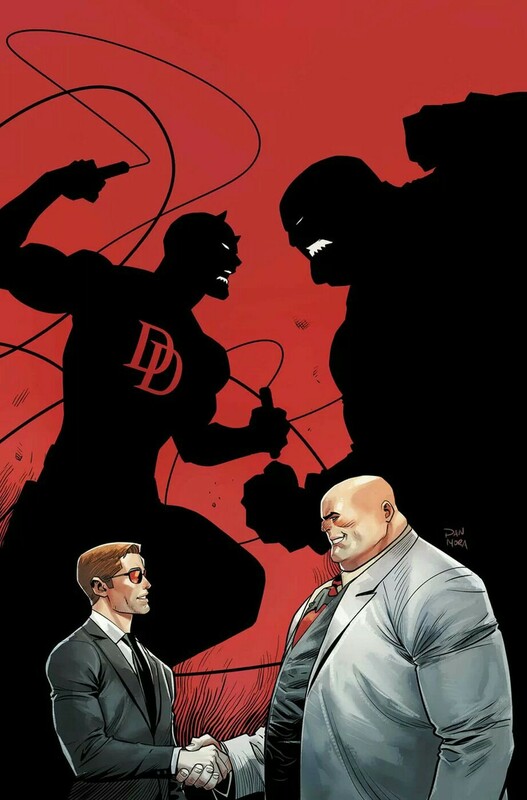 As for Kingpin... well I noticed how they brought back Wesley (who existed in the comics a while ago but is back because of the Netflix show) but otherwise IDK. I liked Vincent Donofrio but his Fisk came off as shy and childlike at times, and I haven't seen anyone attempt to carry over that characterization. Comic-wise, Wesley was in BORN AGAIN and that was about it. This could be a different guy named Wesley. The Arranger first appeared in MARVEL TEAM-UP and appeared quite often in Spider-Man comics in the 1980s as a "representative" of the Kingpin. 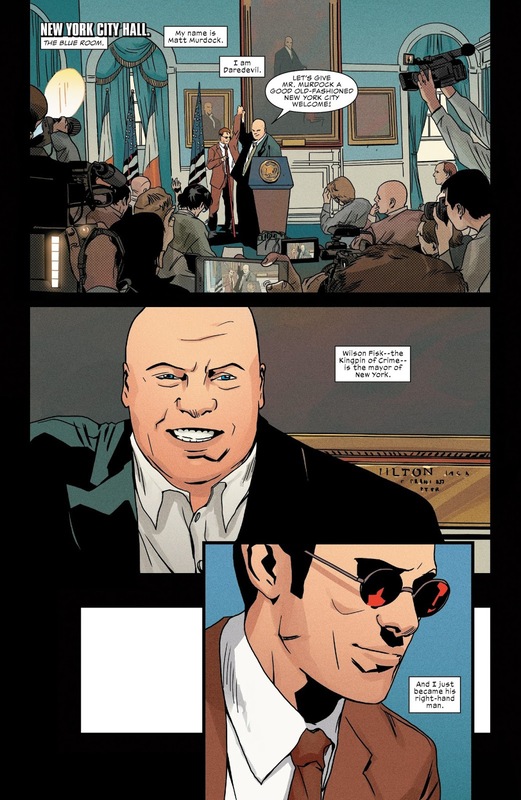 He'd usually say "Mr. Fisk is a respectable businessman" and no one would believe him. Leland Orser played Wesley Welch in the 2003 Daredevil movie. I can definitely see it with Foggy, but not at all with Fisk. Looks more like a quirk of the artist.